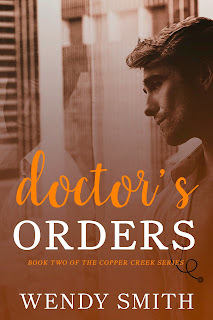 Doctor's Orders is the second novel in Wendy Smith's Copper Creek series, set in New Zealand. Drew Campbell is an obstetrician who's made his life in the city, having moved away from his small hometown of Copper Creek. He shares a private practice and is quite good at what he does. When his brother Adam calls him just as Adam's wife Lily is about to give birth to their second child, he meets Lily's midwife, Hayley McCarthy. Drew's hovering about while Hayley was at work wasn't exactly going to earn him points with her, but he does win her over. The attraction between them is mutual, and pretty soon, it's clear that neither one wants to keep what they have casual. However, Drew lives in Hamilton and Hayley has made a life for herself in Copper Creek. Will either one of them be willing to give up everything they've built for themselves to take a shot on a new relationship which feels like love? Unlike the first book in the series, this second one isn't solely focused on one couple, plus it's told from three different points of view: Drew's, Hayley's, AND Adam's. Yes, Adam who's married to Lily. His issues aren't related to anything going on with Drew and Hayley; they're to do with his time in the military and his need to deal with his post-traumatic stress disorder since it's beginning to affect him more and more at home. I wasn't a fan of having Adam's POV appearing in what should have been Drew and Hayley's story, especially since they've got their own troubles brewing because of a sociopath with his eye on Hayley plus doing the long distance thing and the clear dislike of their respective mothers for the new person in their lives. I wish that what was happening with Adam and Lily had been tackled in a novella instead of including it her, if only to have kept the attention on Drew and Hayley. Learn more about Wendy Smith. 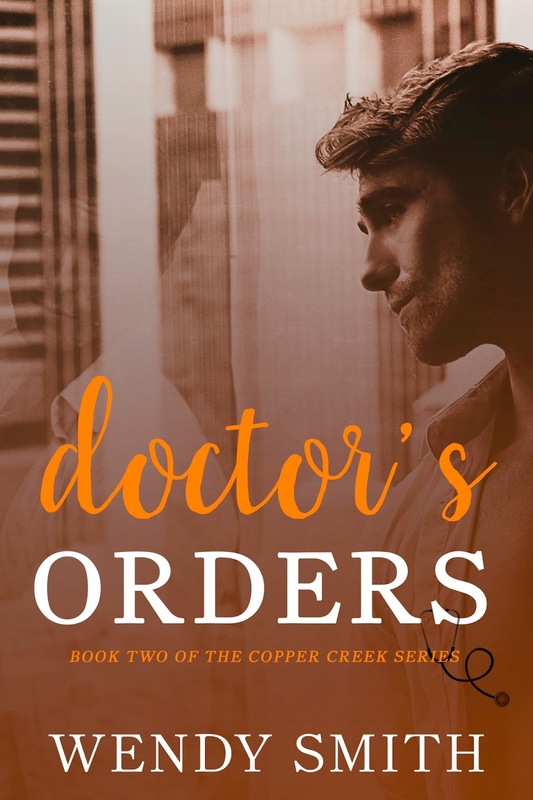 Purchase Doctor's Orders on Amazon | iBooks.